Breakfast at Seatoller House was in keeping with our evening meal - plentiful and delicious. We had an excellent stay here and were sad to leave as we were made so welcome. 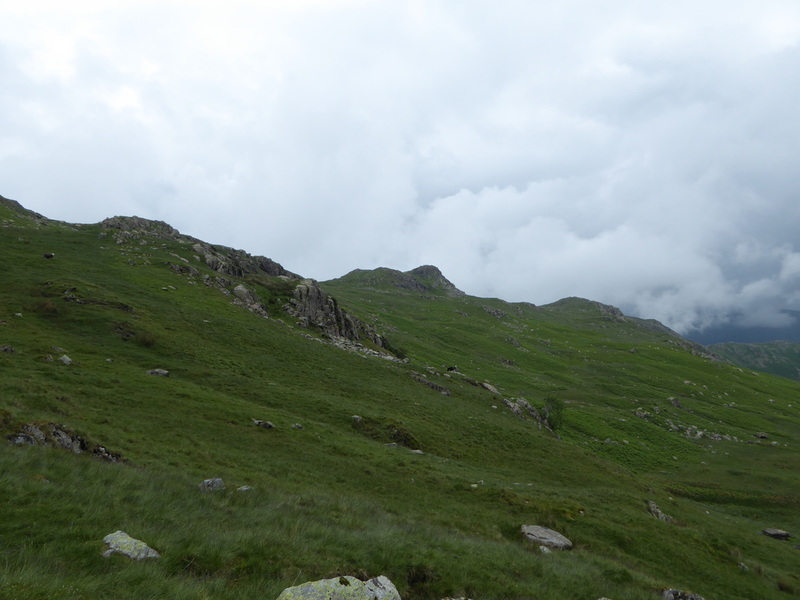 Pressing on, the weather today was not looking too promising and we encountered extremely low cloud as we stepped out of Seatoller - this was to stay with us all day and the heavens would open a few hours in to the walk. 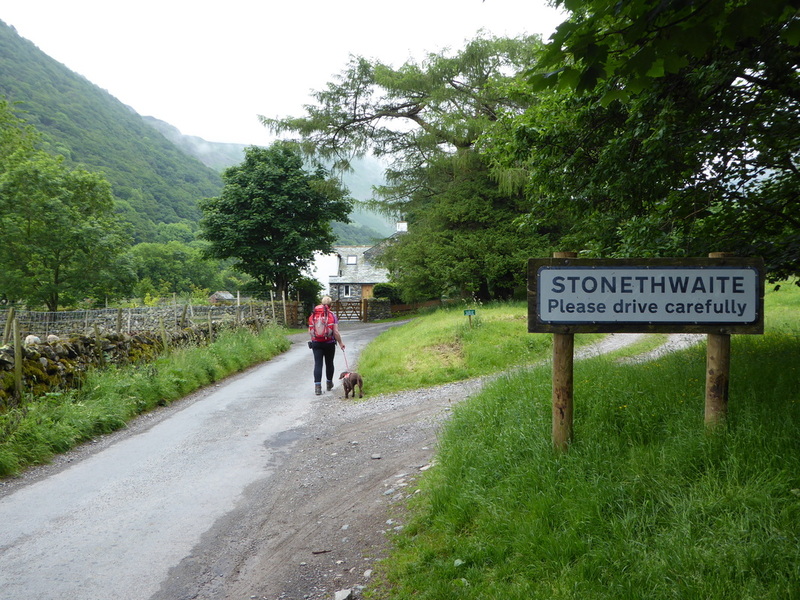 The route heads into Rosthwaite but we were able to join the path the other side of the village of Stonethwaite thereby saving us a mile or so of walking. 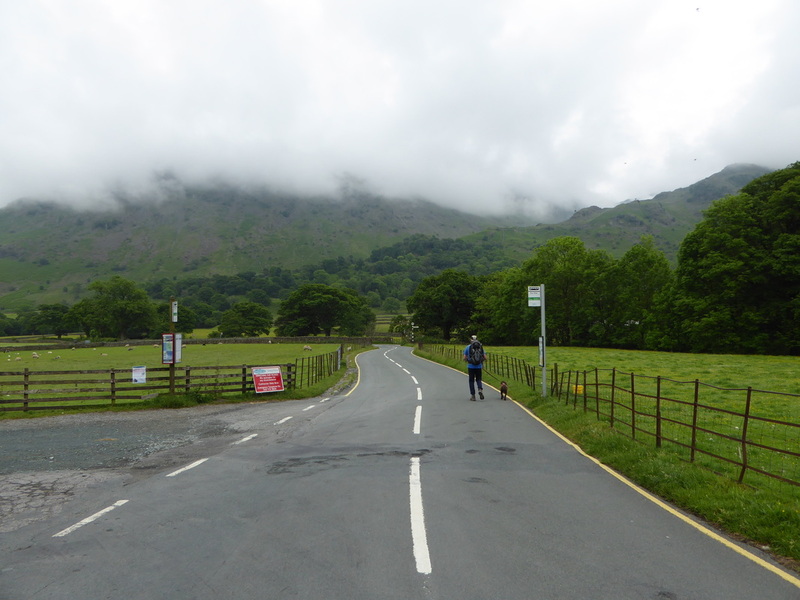 As we headed through the village we bumped into Joel & Hannah who were having a bit of navigational ineptitude but were now on the right track - we left them behind and unbeknown to us that would be the last we saw of them - we later found out that they had to cut short their walk because of an injury to Hannah. 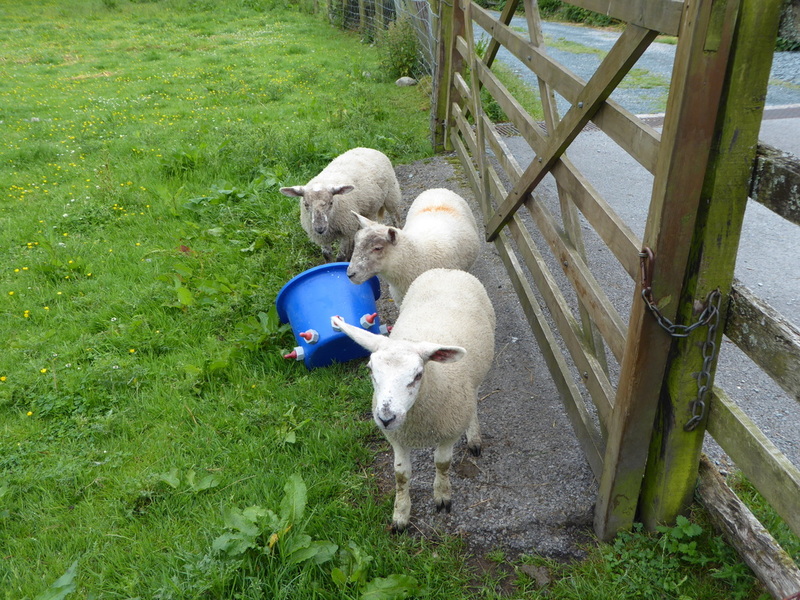 Lambs at Seatoller - loving the teats on the feeding bucket! 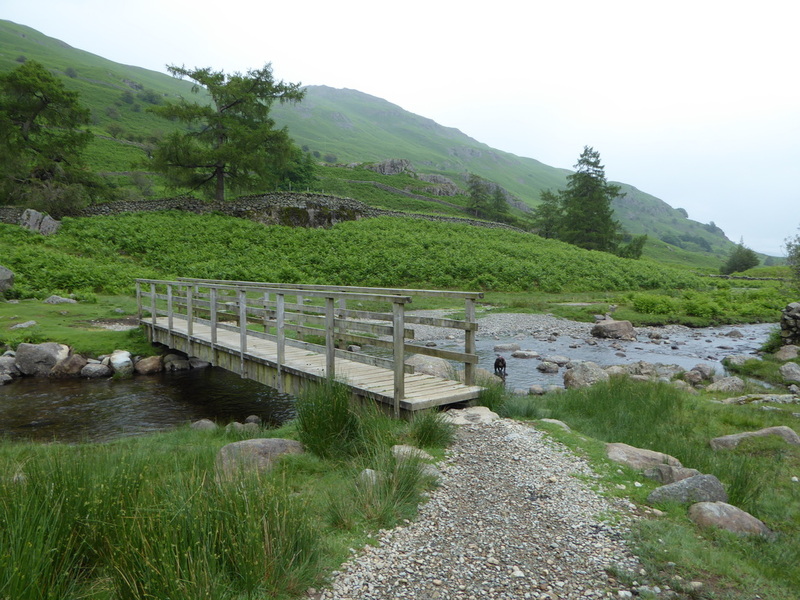 Crossing the bridge we met the 4 girls coming up the path from Rosthwaite - they regaled us of a raucous night in the Royal Oak with Michael and Ed - something about Kendal Mint Cake Liqueurs - they spared us the gory details and we pressed on. 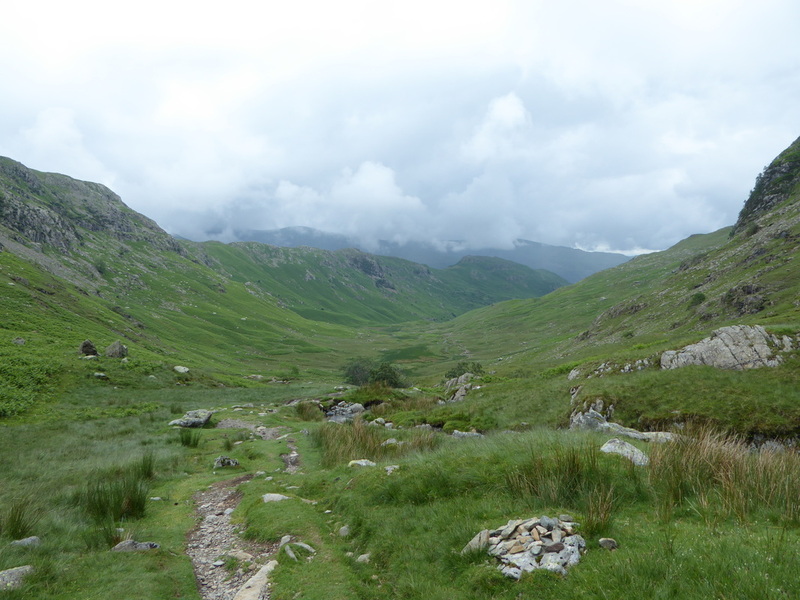 The path to Lining Crag was extremely good but we have been on this route during heavy rain and it is not pleasant - luckily today it was fairly dry. 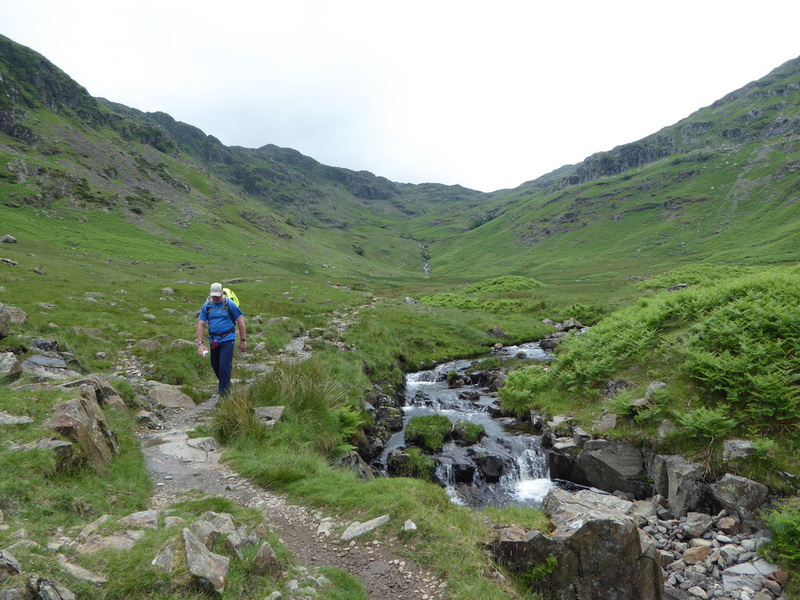 With Stonethwaite Beck for company and Eagle Crag towering above, the path was a delight and there are a few waterfalls along the way also. 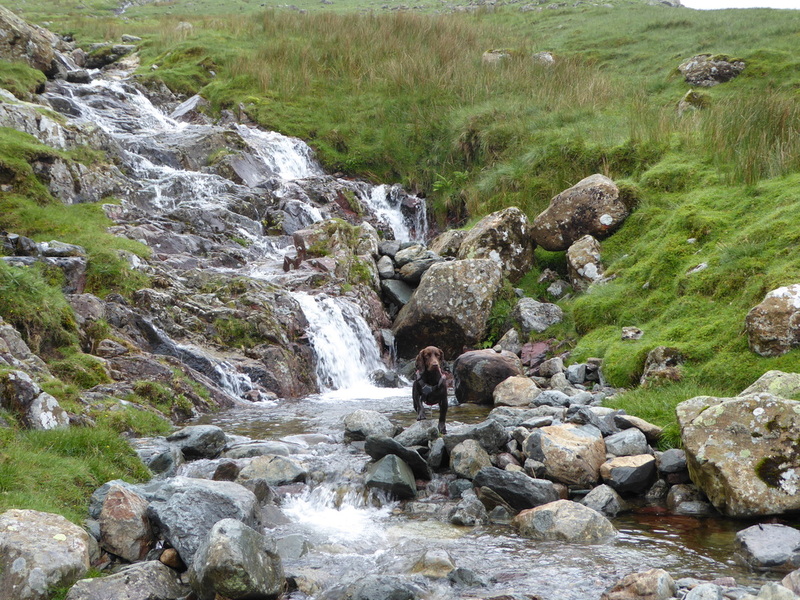 Crossing a couple of streams, we eventually started to rise more steeply until we arrived at the foot of Lining Crag. 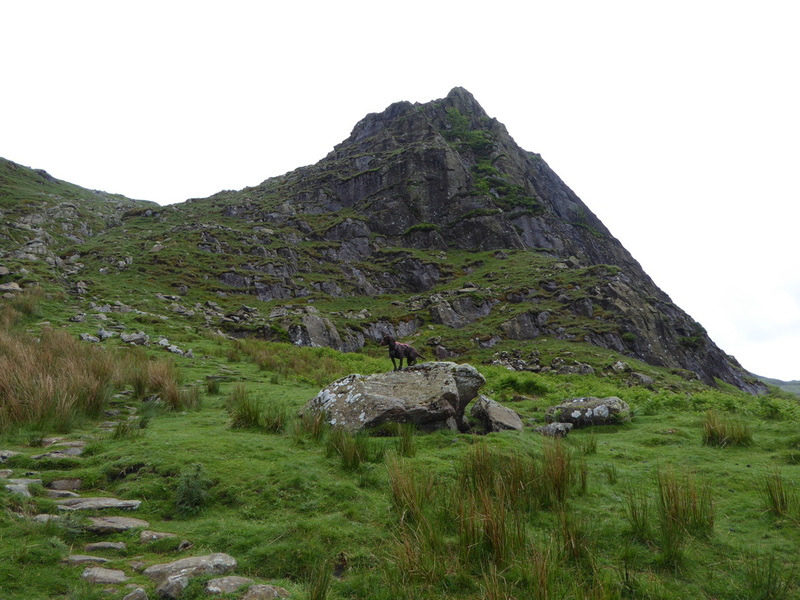 The route to the top goes left of the Crag and was a short and steep pull up of about 150 yards. 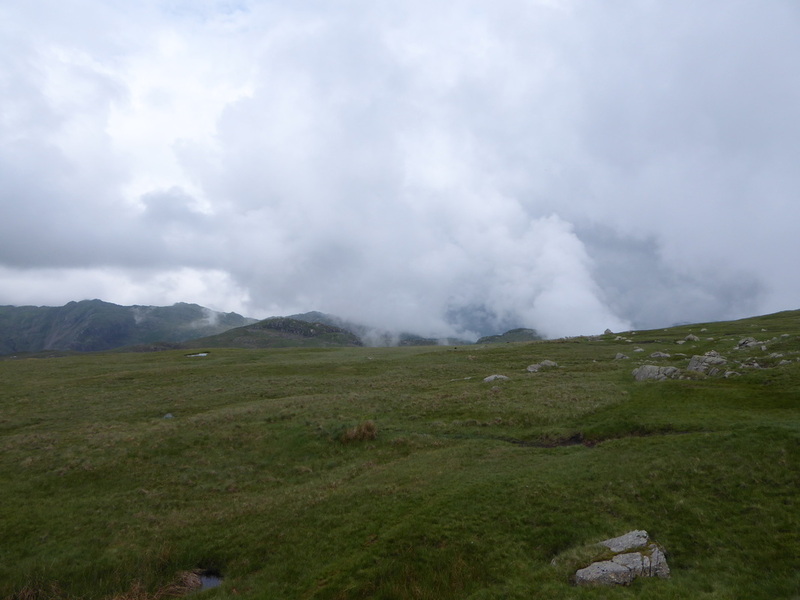 From the summit there was a lovely view back down the valley although today most of it was obscured by low cloud. 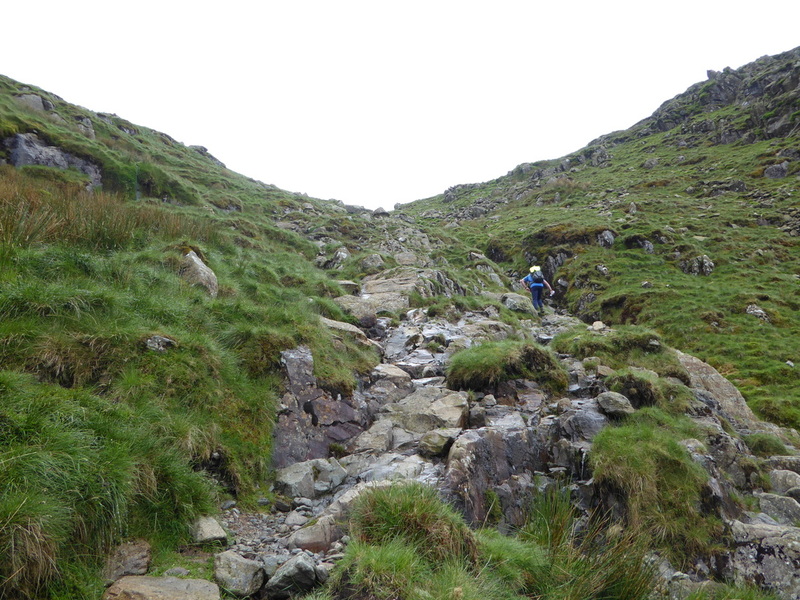 The short, steep pull up Lining Crag - the route of ascent is to the left. 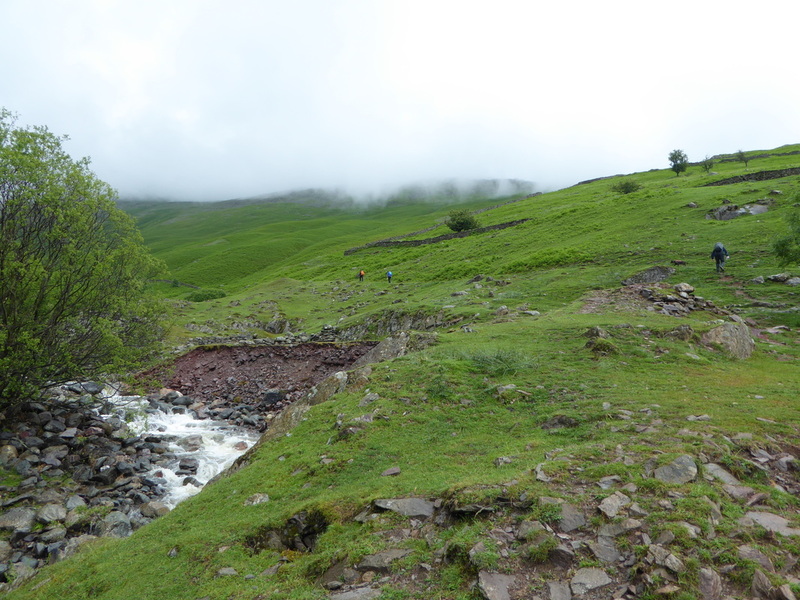 After rain the path is a river - luckily the rain came later! 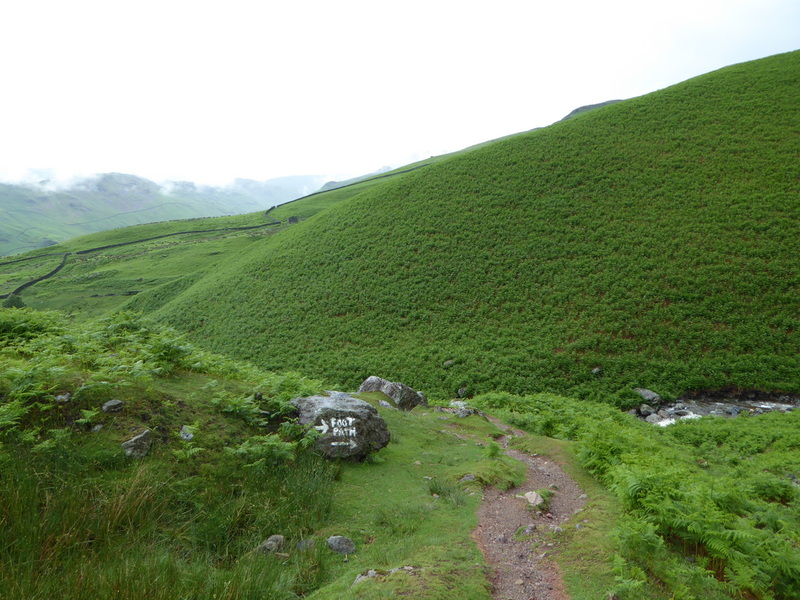 From Lining Crag the path now headed over boggy ground to reach Greenup Edge and it is here that walkers really do need to make sure they take the right path into Far Easedale as it is easy to take the wrong path. 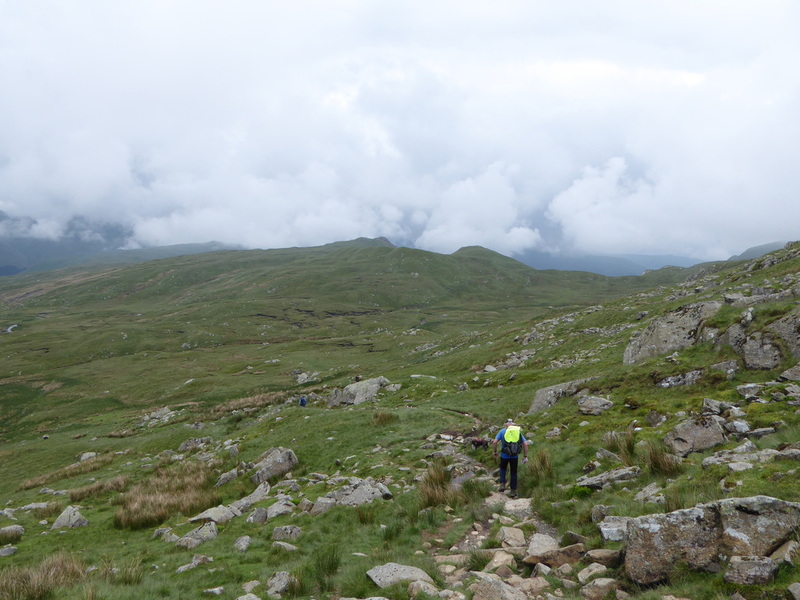 Just over the top of the edge we had a chat with a rather fed up DofE group. 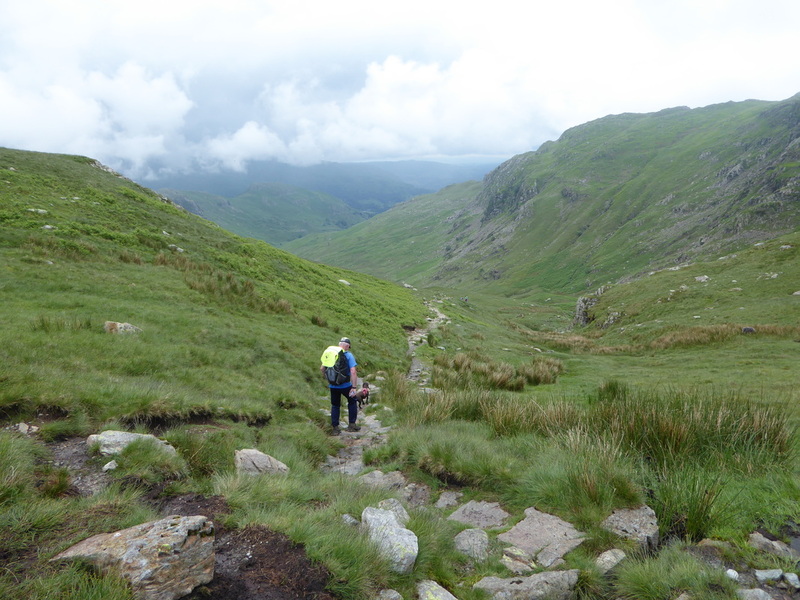 Leaving them to it we passed over Greenup Edge and caught up with Paddy & Pamela and later we also passed the 4 lads from Edinburgh. 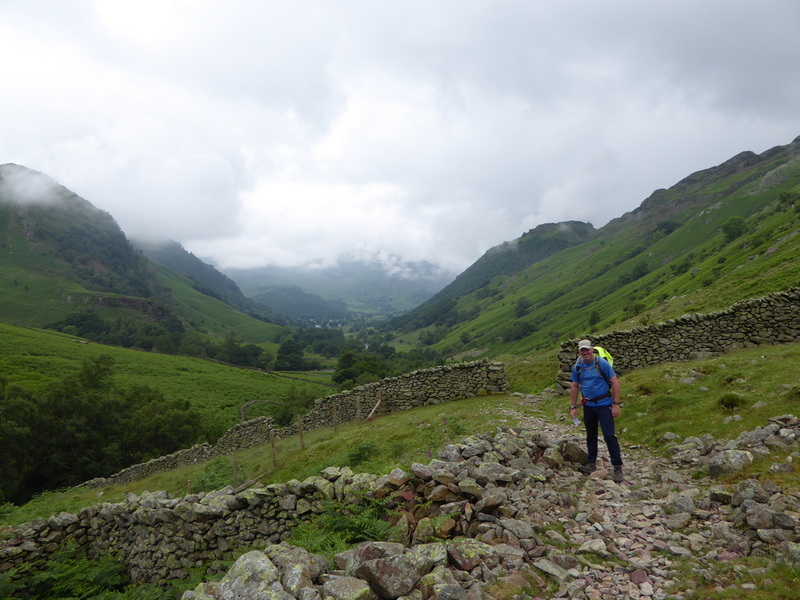 At this point looking into Far Easedale the weather looked ominous and we therefore started the descent down the valley knowing full well it would not be too long before we were reaching for our foul weather gear. Loads of this eh Fudge? Wait until later! 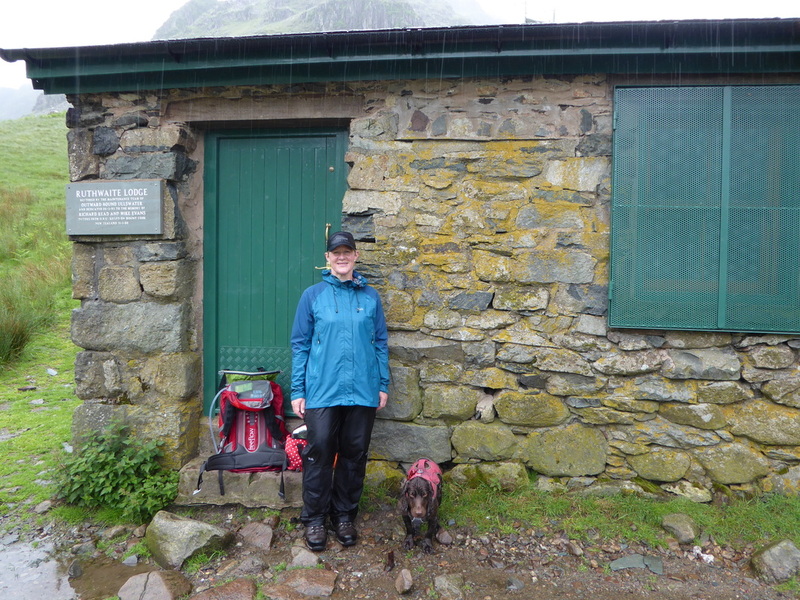 Sure enough, just before Stythwaite Steps it really started to chuck it down and we donned the foul weather gear - they were to stay on all the way to Patterdale as the rain did not let up for the next 4 hours. 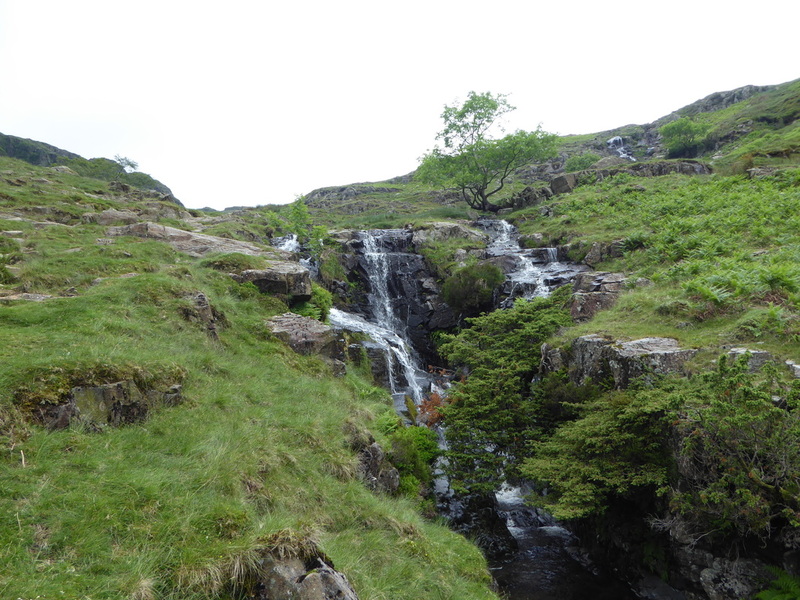 The trek into Grasmere was therefore carried out in driving rain although there were stretches where the overhanging trees gave us a bit of cover - long enough for us to have a bite to eat. 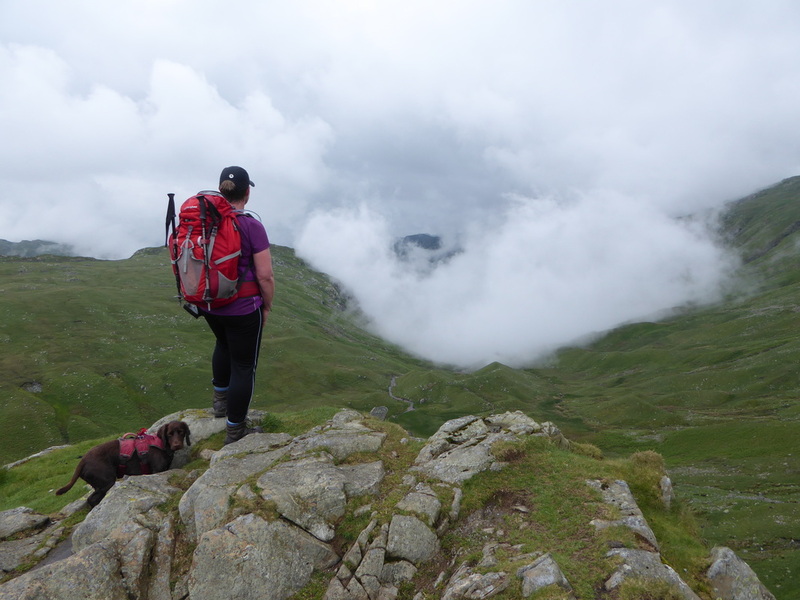 As we were packing up and getting ready to move on after lunch, we were passed by Nicole & Karen who said 'it is what it is" - we agreed - when walking a long distance path you just have to get on with it - after all what else can you do? Also passing us were a couple from Yorkshire, Andrew & Michelle who we would see many times during the walk and were finishing on the last day as us - comically Michelle had a small umbrella up which was a source of amusement between us for the remainder of the walk. 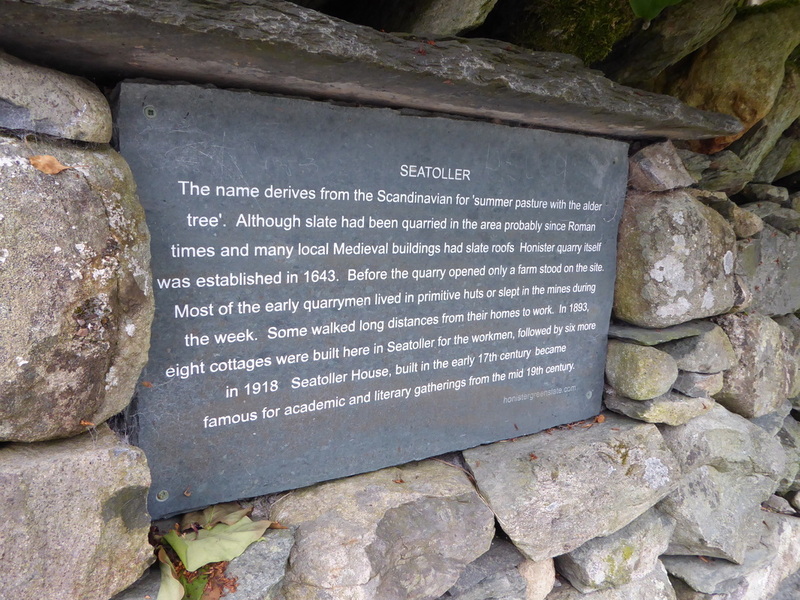 Once we were over the other side of the A591 near The Traveller's Rest, it was just a question of us putting our heads down against the driving rain and getting to Patterdale as quickly and as safely as possible. 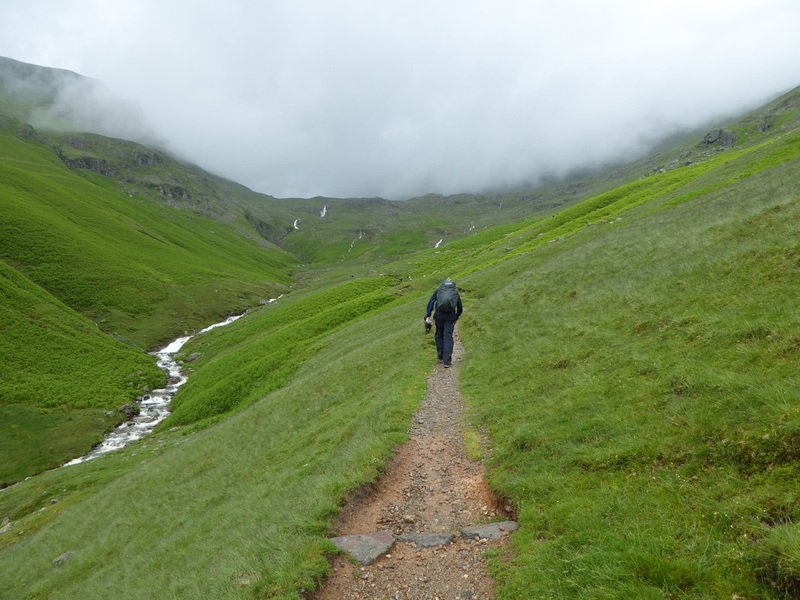 About halfway along the path to Grisedale Hause we passed Andrew & Michelle and eventually reached the waterfall below the Hause where it was a short walk to reach the picturesque Grisedale Tarn. The camera had been put away long ago therefore we only took a handful of pictures of the latter part of the walk today. 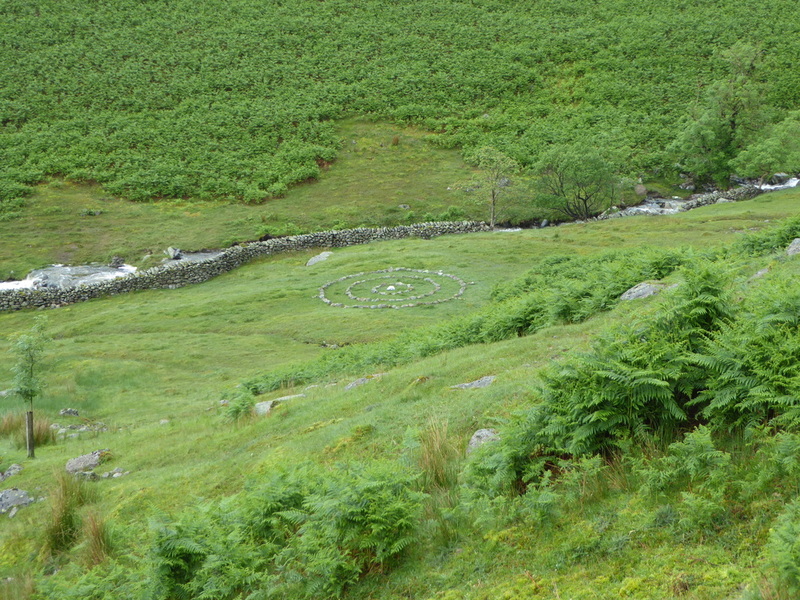 Dry stone wall repairers spare stone boredom circle? 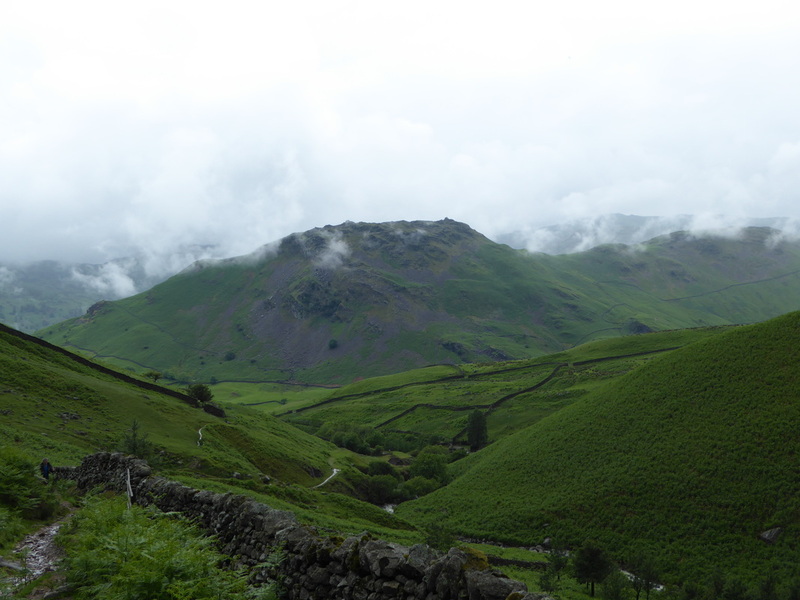 From the tarn it was now a simple case of the long, long descent down the Grisedale Valley to Patterdale - this is a long way at the best of times but in driving rain it seemed never ending. 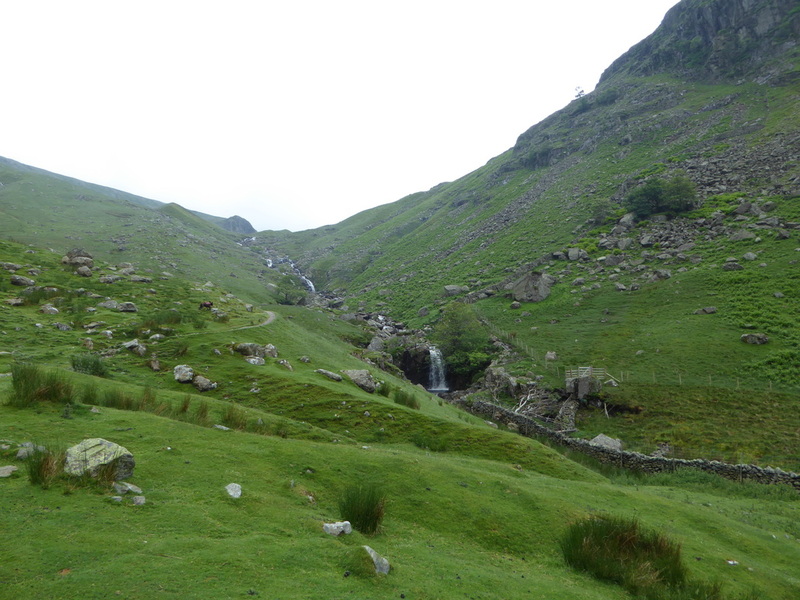 At the Brothers Parting Stone we were joined by a lone walker coming down off Helvellyn - he asked us if this was the path to Glenridding and we assured him it was and he joined us for a couple of miles before heading off to the north as we made for Patterdale, eventually arriving outside The White Lion absolutely sodden. 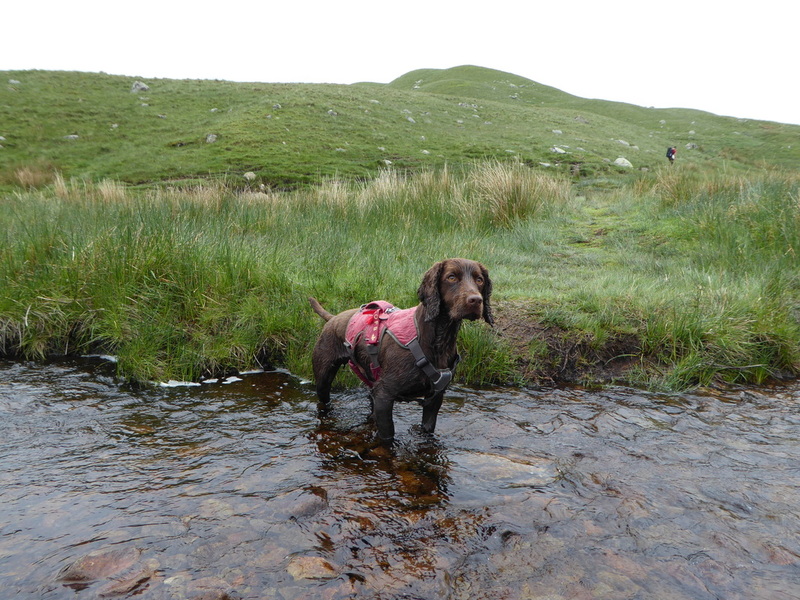 Luckily the pub was fairly empty therefore we were able to disrobe our wet gear without soaking everybody else in the pub and the staff kindly whisked our wet gear away into a drying area. 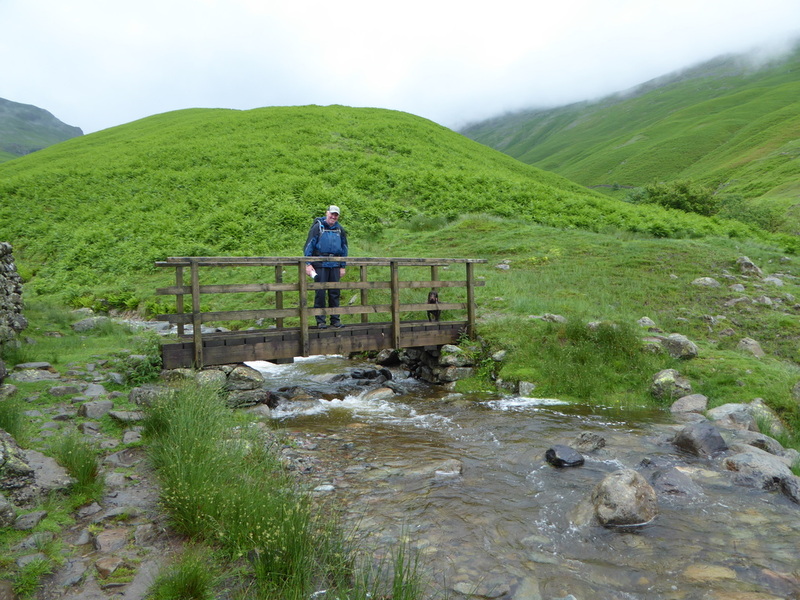 We then decided not to check into our B&B and called Heather at Noran Bank to say we would have our evening meal at The White Lion then make our way to her on completion. 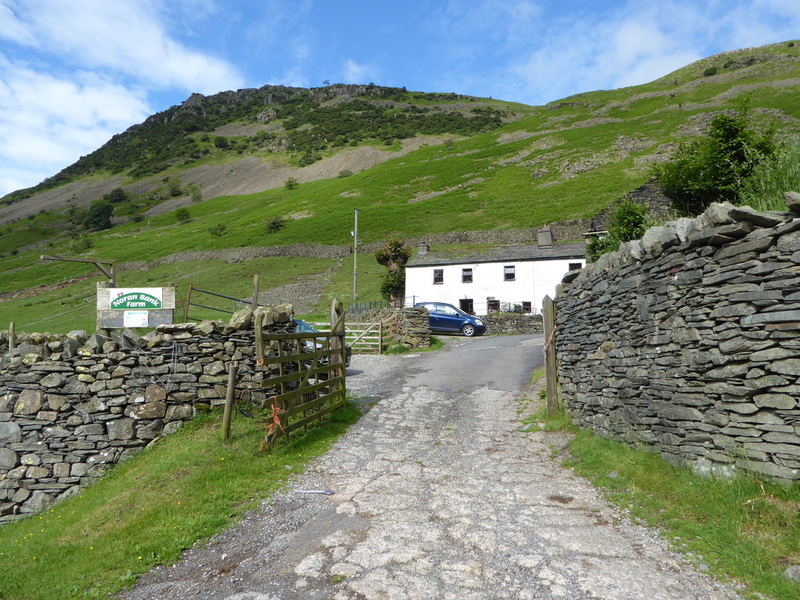 The evening meal in the pub was excellent - we both had Hunters Chicken which we washed down with Beer for me & Diet Coke for Angie. During our meal Andrew & Michelle arrived and we had a quick chat about who was wetter than who before they disappeared off to their room above the bar - we saw them later too as we were leaving - this time a lot drier than we were! 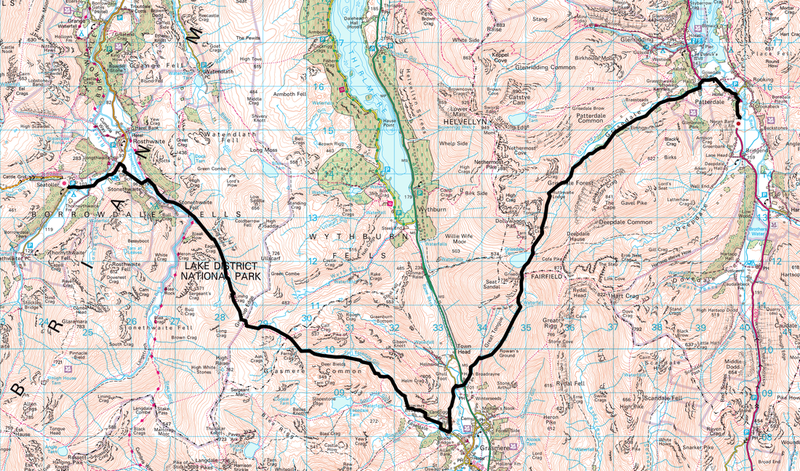 It was now time to walk along the road to our B&B at Noran Bank - we had a 3 day stay there last year and on arrival we were taken charge of by Heather who, seeing the state of us took every bit of wet gear off us - foul weather gear, rucksacks the lot and dried it off ready for the next morning - a fantastic service which we were extremely grateful for. Having showered and got warm again it was a simple question of sorting our kit out before getting some sleep - it had been quite a day but thoroughly enjoyable all the same. 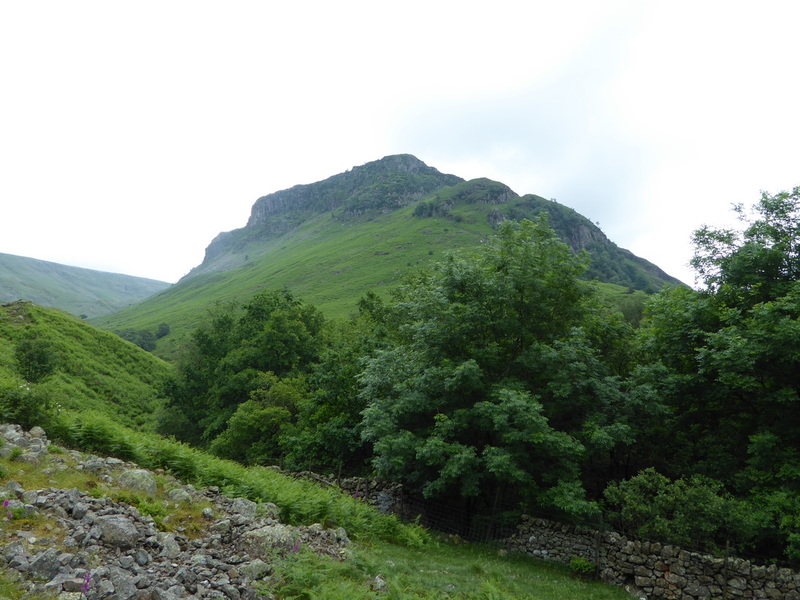 ​A lovely old farmhouse below Arnison Crag a short walk out of Patterdale. 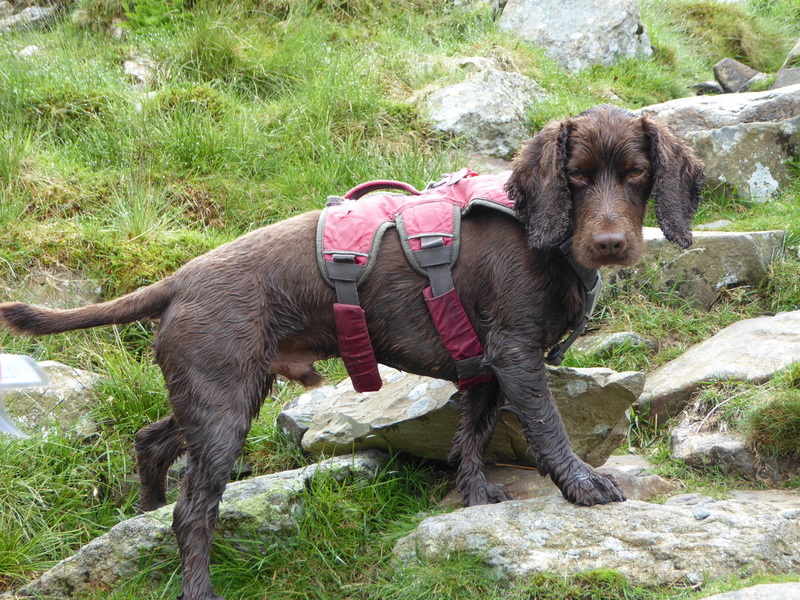 Heather as always looked after us extremely well and gives great value for money.